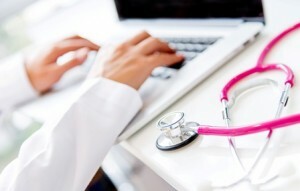 Check out our blog for the latest news and commentary in the EMR/EHR world. 1st Providers Choice Attending 2015 Annual Pain Management Conference in D.C. The American Academy of Pain Management (the Academy) is meeting in Washington, D.C. this year for the 26th Annual Clinical Meeting. The conference will take place from September 17-20 and will play host to medical professionals, Pain Management EMR software vendors, and other businesses providing products and services for the pain management industry. During the four-day meeting, physical medicine specialists, pain doctors, physical therapists, chiropractors and other pain management specialists will have the opportunity to attend presentations by top experts in the field of integrative pain management. Physicians interesting in learning about EHR software for physical medicine will have a chance to do so at the meeting, as 1st Providers Choice will be exhibiting its specialty-specific electronic medical record software. IMS for Pain Management offers a variety of features that help physicians improve care delivery, maximize productivity and increase organizational efficiencies. To view a live demo of our EHR software and find out about the electronic charting features available to pain management specialists, come see us at the Annual Clinical Meeting. 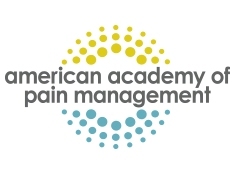 About the American Academy of Pain Management: The Academy is a nonprofit organization that represents physicians in a broad number of disciplines – all of them treating patients who suffer from pain. The Academy offers pain management publications, continuing education opportunities, credentialing for pain clinicians and advocacy for people with pain. It is the largest pain management organization in the United States. The ICD-10 compliance date is less than three months away, and many healthcare organizations are still struggling to complete key steps in the implementation process. Software vendors, like 1st Providers Choice, are prepared to help by providing ICD-10 ready practice management software and assistance with ICD-10 claims testing. ICD-10, the 10th revision of the International Classification of Diseases, will officially replace ICD-9, the current version in the United States, beginning on October 1, 2015. At that time, all HIPAA covered entities will be required to start using the new code set to code diagnoses and procedures*. Failure to do so could result in a delay in payment, as it will not be possible to process ICD-9 claims. The difficulty for many practices will be in getting used to the thousands of new codes. ICD-10 has more than 68,000 diagnostic codes, compared about 13,000 in ICD-9. Not only that, but providers will also need to be more specific in their coding – for example, by distinguishing between the left and right side of the body. *ICD-10-CM codes will be used for all inpatient and outpatient diagnoses. 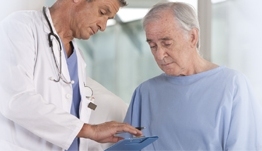 ICD-10-PCS will only be used by hospitals for inpatient procedures. CPT will be used by all healthcare providers for outpatient procedures. According to a survey by the eHealth Initiative and the American Health Information Management Association (AHIMA), 72 percent of healthcare organizations surveyed have trained staff on ICD-10, and about 50 percent have conducted test transactions with clearinghouses and payers. Furthermore, over 80 percent have conducted or have plans to conduct end-to-end testing. The problem lies in the disparities between hospitals and physician practices. While larger organizations tend to be further along in the ICD-10 preparation process, smaller practices, overall, are a lot less prepared. In fact, 85 percent of hospitals have trained staff on using ICD-10, compared to only 41 percent of physician practices. The good news is that there is still plenty of time for practices to adequately prepare – not only by taking advantage of free resources online, but by working with an ICD-10 ready software vendor. 1st Providers Choice is committed to working with physician practices in order to facilitate the transition to ICD-10. We help with software setup, implementation, training and testing by assigning an ICD-10 expert to each practice. We also provide ICD-10 guidance and help practices understand all there is to know about transitioning to the new code set, including announcements from the Centers for Medicare and Medicaid Services (CMS). Need help preparing for the October 1st deadline? Call 480-782-1116 today to speak with an ICD-10 expert. 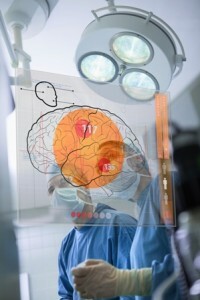 Neurosurgery is a highly specialized field with unique requirements when it comes to electronic health records and practice management software. Not just any software will do. Generic EMRs, for example, fail to take neurosurgery workflow into account and require extensive customization to prepare the software to be used in a neurosurgery setting. The software is comprehensive for your specialty. Choosing an EMR that was designed with direct physician input is always a right choice for neurosurgeons. After all, who better to know the needs of your practice than other providers with experience in the same medical specialty. Our Neurosurgery EMR software was 100 percent developed for your specialty, designed to match neurosurgery workflow and to provide a seamless experience for providers and staff. Visit note templates for conditions such as seizure, headache and tumor. Built-in documents for commonly used surgery orders, consult letters and more. It is fully integrated to meet clinical and operational needs. 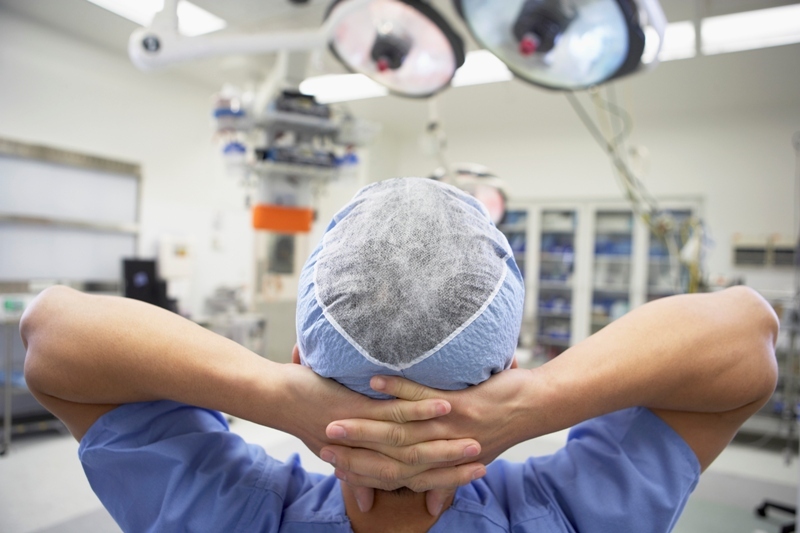 Neurosurgeons need more than just stand-alone EMR software in order to truly enhance clinical and operational efficiencies. Instead, what neurosurgery practices need is a fully integrated system that includes billing and scheduling capabilities, a patient portal, and more. Our Neurosurgery EMR software is a best-in-class solution capable of handling all types of clinical and administrative needs. To learn more about our ICD-10 ready and Meaningful Use Stage 2 certified EMR software for Neurosurgery, contact us online or call 480-782-1116. The American Podiatric Medical Association (APMA) is hosting its Annual Scientific Meeting (The National) in 2015 in Orlando, Florida from July 23-26. The National is the leading foot and ankle conference for podiatric medical professionals. It features seminars, hands-on training sessions and workshops, and an exhibit hall where vendors can showcase Podiatry EMR software and other industry-specific products. 1st Providers Choice is excited to be attending The National and to have the ability to demonstrate the many features of its EMR software for podiatrists. 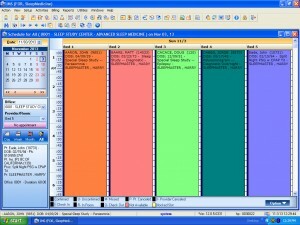 The EMR software helps physicians attest for Meaningful Use and qualify for stimulus incentives. The intuitive Meaningful Use dashboard allows podiatrists to track their progress meeting specific MU objectives, view percentages of compliancy and more. Our Podiatry EMR Software also provides the tools that healthcare organizations need in order to run more efficient operations, improve productivity, and provide high quality care. This includes an advanced scheduling module, EHR-integrated billing and an online healthcare portal that’s easy for both patients and staff to use. With the ICD-10 deadline quickly approaching, podiatrists will be happy to learn that our EMR/PM system is ICD-10 ready. We work with practices to make sure that they understand how the new codes work and provide tools for testing to ensure that all systems are ready by the October 1, 2015 deadline. We invite you to visit our booth at the conference to learn more about our product. You can also call 480-782-1116 to get more information about our Stage 2 certified EMR software. Switching to electronic health records software for the first time can be a huge undertaking for pulmonology practices, especially if the software being implemented has not been designed specifically for the pulmonology specialty. Unfortunately, many medical practices find this to be true only after having used their newly-acquired EMR software in a live environment. By this time, the practice will have invested large amounts of time and money into the software, despite the EMR not being capable of meeting many of the practice’s basic needs. Implementing Pulmonology EMR software is the easiest way to avoid this type of headache. While generic systems may impede workflow and create extra work for providers and staff, Pulmonology EMR software is designed to simplify all types of clinical and administrative processes – from scheduling, patient registration and insurance verification to entering visit notes, selecting proper billing codes and more. Not convinced that EMR software for pulmonology practices is the way to go? Here are a few reasons why implementing this type of software will benefit your practice. Fortunately, a well-designed EMR system can help alleviate many of these daily burdens. Pulmonology EMR software comes pre-loaded with specialty-specific templates and forms to reduce data entry. It also includes voice transcription and handwriting recognition software which allows information to be entered into the software depending on the physician’s preference. In addition, patient portal integration moves many tasks online, significantly reducing administrative workload. Most importantly, the software streamlines clinical, administrative and financial tasks, allowing all types of actions to be carried out from different places within the EMR. For example, staff can easily schedule or update appointments from the scheduling screen or from the patient’s chart, and providers can quickly access important information from the patient dashboard. Many Pulmonology EMR software systems, such as 1st Providers Choice, are also designed to be used in sleep medicine environments. This is due to the fact that pulmonologists often treat sleep disorders and require software that meets the needs of both medical specialties. For example, much like Sleep Medicine EMR software, Pulmonology EMRs offer staff the ability to schedule patients by bed when conducting sleep studies – something that general EMR software does not allow. To learn more about these and other EMR software benefits for pulmonologists, call 480-782-1116 or contact us online. Leading Pain Management EMR software vendor 1st Providers Choice is pleased to announce that members of our team will be attending the 2015 Scientific Meeting hosted by the Florida Academy of Pain Medicine (FAPM) in conjunction with the Florida Society of Physical Medicine & Rehabilitation and the American Academy of Regenerative Orthopedic Medicine. The conference is set to take place at the Grand Cypress Hotel in Orlando, Florida from June 26-28. Health professionals will have the opportunity to earn their 20 mandatory credit hours at the meeting, in addition to networking with other pain medicine specialists. 1st Providers Choice will join other industry-specific product vendors and service providers in the exhibit hall to showcase our Stage 2 certified EMR software for pain medicine. The software offers a wealth of features to improve healthcare delivery and practice profitability. Plus, it integrates seamlessly with our billing and scheduling solution and online patient portal for total practice management. 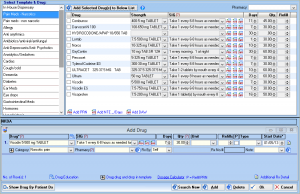 Our EMR software for pain medicine specialists includes an advanced e-prescribing module. 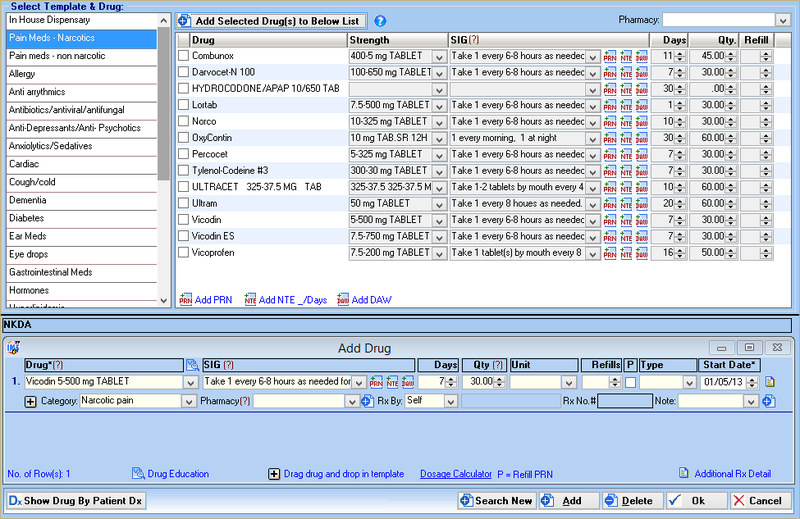 It makes it easy for providers to automatically download a list of current medications, and it allows for e-prescribing of controlled substances (EPCS). EPCS improves prescription management and medication adherence and reduces medication abuse and fraud. For more information about EPCS and our leading EMR software for Pain Medicine, call 480-782-1116. The Physician Quality Reporting System (PQRS) is a program that encourages eligible healthcare professionals and group practices to report information to Medicare on the quality of care that they provide. Using feedback provided by the Centers for Medicare and Medicaid Services (CMS), physicians can then easily assess the quality of care that they are providing, compare their performance to their peers, and make necessary adjustments in order to improve care quality. This ensures that patients always have access to the best care possible. PQRs participants are eligible to receive incentive payments if they adequately report on quality measures – and starting in 2015, they may also get negative payment adjustments for failing to meet quality metrics. With the June 30, 2015 deadline looming, the end of the reporting year for PQRS, 1st Providers Choice has put a team together to help clients get started. From getting your practice setup for PQRS reporting to explaining the steps that need to be taken to avoid penalties, our team provides comprehensive assistance – both for individual physicians and those reporting as a group. The first step is to find out whether you are eligible to participate in the PQRS program. Then you will need to decide whether to participate as an individual physician or as part of a group practice. (Practices with two or more physicians using the same Tax Identification Number may report PQRS measures as a group instead of individually.) If you are not sure what the differences are, we can help – just call 480-782-1116 today to speak with a PQRS expert. For more information about the Group Practice Reporting Option (GPRO), click here. With 1st Providers Choice’s fully certified EHR software, PQRS compliance is simple. Our team is knowledgeable on what is required for PQRS reporting, and we are committed to assisting physicians with successful PQRS submissions. Contact us to learn more or to get help answering questions about PQRS qualifying and reporting. EMR software is no longer an option – it is a necessity for improving patient outcomes, boosting productivity and reducing costs. The problem for smaller surgery centers, however, is that many surgery-specific EMR systems are designed for use in hospital settings and include features and workflows suited to larger organizations. Because of this, surgery centers often find themselves in a difficult position when selecting an Surgery Center EMR. The good news is that there are suitable options available, including EMR systems like 1st Providers Choice, which can help surgery centers meet the health care triple aim and focus on preoperative, intraoperative and postoperative care. 1. Improve efficiency in the OR. EMR software can significantly improve efficiency in all areas of your business, specifically the operating room. For example, instead of manually entering data into the EMR from different surgical monitors and devices, the software can be integrated so that data values are captured instantly and saved into the patient’s chart in real-time. The ability to use pre-loaded templates for specific surgeries and procedures also saves time, as it eliminates the need to enter standard data. 2. Enhance patient safety and care. Surgery Center EMR software has the potential to improve care quality and treatment outcomes by providing physicians with detailed surgery reports that can reveal insightful trends. For example, you may choose to run a report on all patients who had a specific surgery and were seen after two days for a post-op and another for those who had the same surgery but were seen after five days. Comparing the results, you can determine whether it makes a difference to follow-up with patients sooner after surgery. A well-designed EMR system can also alert users of important fields that need to be completed in the patient’s chart, ensuring that all critical data is entered at the point of care. Plus, it will notify you of things that could pose harm to the patient (e.g. drug-drug or drug-allergy interactions). More importantly, the EMR ensures that all notes are completed before you can move forward, so that no important data is missed. This means that the intra-operative section cannot be opened until all pre-op notes have been entered and signed off on – and the same goes for discharge and post-op. Implementing EMR software can be overwhelming for physicians and staff, as it forces new ways of doing things. Even though the new ways of working may be better, change is hard; so it is beneficial to choose software that minimizes disruptions and simplifies otherwise burdensome tasks. For example, EMR software that makes it easy for authorized users to access health records, billing and appointment information from anywhere is a definite must. With surgeons increasingly depending on their iPhones and iPads for instant access to all kinds of medical information, mobile EMR software is an automatic win with staff. Additionally, because Surgery Center EMR software offers different functionalities for different users, it becomes easier for staff to understand their specific roles. All you have to do once the software is implemented is make sure that each person understands his or her role and what they are responsible for inputting in the EMR. To learn more about our EMR solution for surgery centers, call 480-782-1116 or contact us online. With so many electronic health records solutions in the market, selecting the right one for your sleep medicine lab can be a complicated process – especially if you have never used an EMR before and don’t know what to expect. After all, EMR software can be a powerful tool that helps sleep medicine facilities streamline operations and improve patient care, but only if it is designed to meet the organization’s requirements and to match its workflows. 1. Understand your sleep facility’s needs. Choosing the right EMR software will depend significantly on what you want the system to do for your facility. Think about your sleep medicine lab’s needs and consider your long-term goals. For example, if you purchase an EMR simply because you need it for Meaningful Use, and you fail to pay attention to the system’s other features (or lack thereof), you may find yourself months down the road lamenting a bad investment. If you are hoping to reduce expenses, you may want to consider a comprehensive solution that includes modules for scheduling and medical billing and maybe even a patient portal. Integration between multiple systems will automate charge capture and streamline the billing process. The inclusion of a patient portal with online bill pay will also make it easier for patients to pay their bills. Other portal features, such as appointment scheduling and requests for medication refills, will reduce workload for staff by moving processes online. Advanced appointment scheduling is also important; specifically, Sleep Medicine EMR software that allows you to manage schedules by provider or bed. A feature like this can make your employees’ jobs easier, whether you run a single sleep medicine lab or several facilities. For the purpose of improving patient care, you may also want a system that can produce detailed reports based on the criteria of your choosing. For example, in order to better follow at-risk patients, you may want to run a report that shows all patients who have sleep apnea and diabetes and who have had irregular labs. 2. Make sure the software can be customized. After you have defined your sleep facility’s requirements and the feature-set that you are looking for in an EMR, you are going to want to pay attention to two things: compatibility and customization. This means ensuring that the Sleep Medicine EMR software can work seamlessly with your lab’s other systems and third-party sleep testing devices (e.g. continuous positive airway pressure machines) and that it can be customized to adapt to your organization’s needs. Keep in mind that customization extends beyond the EMR simply having specialty-specific content, like templates and forms. Although important, this is something that many EMR vendors offer. What will really set the top vendors apart is their software’s ability to match your organization’s workflow. The best vendors will already take sleep medicine lab workflows into account and will design their software to be used with minimal customization. 3. Know what level of support you are going to get. Even with the best EMR systems, problems will arise – whether it’s a technical issue or unfamiliarity with a specific feature that requires more in-depth training. In either situation, good customer service goes a long way, so don’t be afraid to ask about the level of support that the vendor offers or about the availability of their technical support staff. This will prevent surprises down the line in the form of surcharges for staff training or out-of-office-hours support. Find out why 1st Providers Choice’s Sleep Medicine EMR software can work for you. Contact us online or call 480-782-1116 today. The American Podiatric Medical Association will be hosting its 66th Annual Region Three Scientific Meeting next month, from May 6-9, in Atlantic City, NJ. The meeting brings together podiatric physicians and assistants from Pennsylvania, New Jersey and Delaware, in addition to leading industry vendors, such as 1st Providers Choice, which will be exhibiting its leading ICD-10-ready Podiatry EMR software. The Region Three Meeting will also include a full-day coding seminar. The seminar is meant to help podiatrists get ready for the upcoming October 1, 2015 deadline to transition to the ICD-10 coding system. Preparing for ICD-10 requires extensive planning from podiatry practices, in addition to the use of ICD-10-ready software. At the end of the seminar participants will be better able to understand and apply ICD-10 concepts, assess the framework for implementing ICD-10, and use available resources for more accurate coding. 1st Providers Choice will be available to talk to conference attendees about the benefits of using our Podiatry EMR and Practice Management software to simplify the ICD-10 transition. Our software not only offers coding assistance to help podiatrists select the right code; we also provide comprehensive ICD-10 testing to ensure compliance. Learn more about our leading EMR software for podiatrists. Call 480-782-1116 or contact us online.